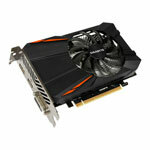 La carte graphique Gigabyte GeForce GTX 1050 Ti D5 4G est conçue pour permettre aux joueurs occasionnels ou assidus de profiter d’un affichage fluide et rapide en Haute Définition. Profitez des derniers jeux PC avec un rendu graphique superbe sans vous ruiner. 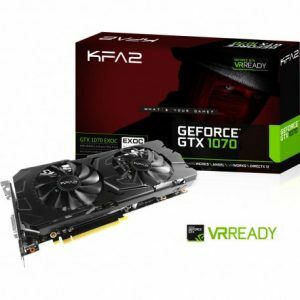 La carte graphique Gigabyte GeForce GTX 1050 Ti D5 4G est conçue pour permettre aux joueurs occasionnels ou assidus de profiter d’un affichage fluide et rapide en Haute Définition. Profitez des derniers jeux PC avec un rendu graphique superbe sans vous ruiner. Concevez un PC Gaming peu onéreux et bénéficiant d’un rapport performances / prix imbattable. 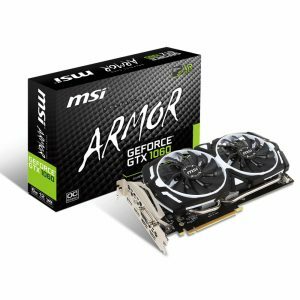 Basée sur l’architecture NVIDIA Pascal, la carte graphique NVIDIA GeForce GTX 1050 Ti est puissante et rapide. Elle offre aux joueurs une expérience Gaming saisissante grâce aux technologies innovantes comme NVIDIA Game Ready ou NVIDIA G-SYNC. Everyone deserves great gaming. That’s why NVIDIA created the fast, powerful GeForce GTX 1050Ti. Now, you can turn your PC into a true gaming rig, powered by NVIDIA Pascal—the most advanced GPU architecture ever created. It’s loaded with innovative NVIDIA Game Ready technologies that let every gamer experience the latest titles in their full glory. #GameReady. GeForce GTX 10-series graphics cards, such as the GTX 1050Ti graphics cards, are powered by Pascal to deliver up to 3X the performance of previous-generation graphics cards. Plus, it features innovative new gaming technologies and breakthrough VR experiences. The Pascal architecture is purpose-built to be the engine of computers that learn, see and simulate our world. It transforms a computer into a supercomputer that delivers unprecedented performance from the GeForce GTX 1050Ti. The GeForce GTX 1050 cards take advantage of Pascal to significantly improve speed and power efficiency than previous-generation cards- breath new life into your games with 1050 power. 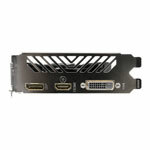 This graphics card is capable of displaying on a multitude of screens. Through numerous screens this GTX 1050Ti is sure to immerse you, whether you’re playing video games or utlizing other media the multi-screen setup capable on 1050Ti GPUs allows you to experience old and new media like never before. Vulkan is one of numerous technologies embedded into the GTX 1050. This tech targets high-performance realtime applications such as digital games, as well as interactive media across all platforms. 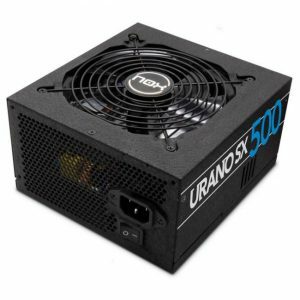 It offers increase performance whilst utilizing a lower CPU usage. Plus, it is capable of better with distribution of work amongst multiple CPUs. Ansel, another great technology embedded within the 1050Ti that was developed to give you the tools you need to easily take beautiful pictures as you would in real life. It pushes boundaries even further by enabling you to capture in 360 stereo. Compose your shots from any position, adjust with post-process filters, capture HDR images in high-fidelity formats, and share your screenshots in 360 degrees on your mobile phone, PC, or VR headset. Utilize a free-camer, post-process filters, EXR capture, super resolution, 360° capture and even more through Ansel on the 1050Ti. 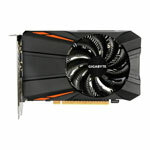 Be the first to review “Gigabyte NVIDIA GeForce GTX 1050 Ti 4GB” Annuler la réponse.